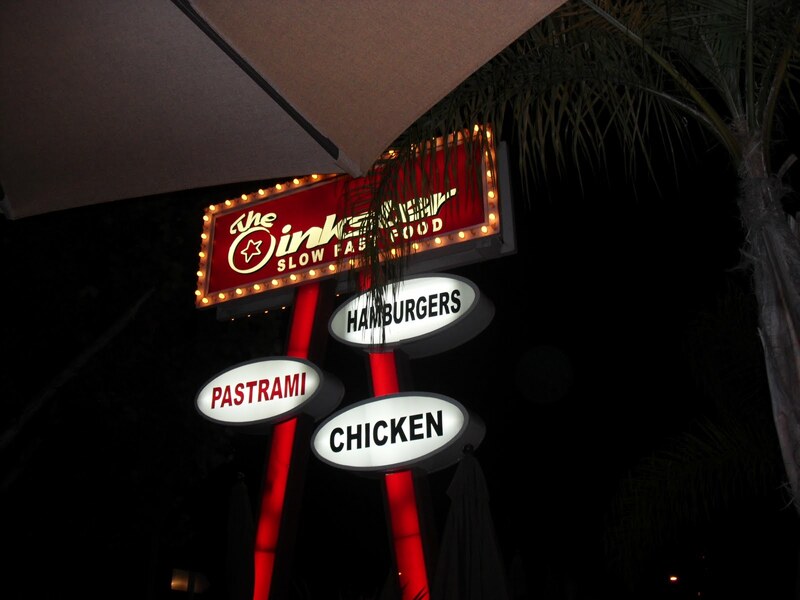 Found: the best burger in LA! (And it’s proudly Pinoy.) – CHUBIBO! Curiosity got the best of me. My nephew, Louie (a certified burger expert), was going on and on about a place that was creating a major buzz and a cult following in LA with its legendary burger. So off we went to Eagle Rock — a city that’s a few minutes away from Burbank and Hollywood (a few years back, it was a sort of Pinoy town with its own Jollibee and Chow King stores… but of late, a rapidly rising new center of Los Angeles art). The line was super long when we got to the place. It was even longer when we left. Made of fresh ground Nebraska Angus beef and swiped with a house-made thousand island dressing, this burger was absolutely juicy. Mine was swimming in fresh dill pickles, onions, tomatoes and lettuce for that complete “All American” hamburger taste. The Belgian fries are cooked twice to give that extra crispy texture and comes along with a house-made garlic aioli sauce to give that complementary balance and unique taste. Bite into the burger and you get a subtle hint of smoke that lights up your palate. The smoke comes almost more from the bun then the meat. Next you get the Angus flavor, with some pepper, then a flood of richness from the fat in the beef and dressing. The meat is cooked a medium rare, pink inside, and delightfully juicy but not in that oily undercooked way lots of places try and pass off as gourmet. The fries are light and delicate. They have that texture that not many places get right (McDonalds being one of them). Slightly sweet as are most belgian style fries. The savory garlicky sauce really brings all the flavors together. Its hard not to just eat the whole batch in one go before you even touch the burger. 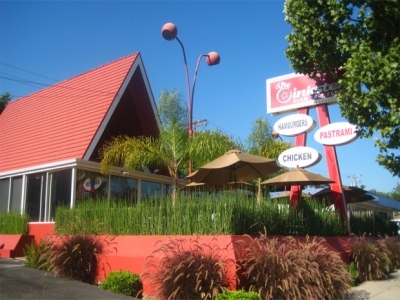 Oinkster is the brainchild of Max’s André Guerrero, probably LA’s best known Filipino chef. No Pinoys at the counter. No Pinoy chatter in the kitchen. Saludo kami sa iyo, Oinkster! So, they are not “proudly Pinoy”? Just asking.